Some Paris mornings draw you into their slow sleepy entrance into the day... like a lantern's flame, the sky's shifting shades gently wakes and illuminates the city in the most subtle fiery light. Yes my friend, your Paris skies are breathtaking. Thank you for sharing them with us. Love the cloud in the first photo. The quiet mornings, the smell from the little bakeries, watching the city waking uo! Wonderful images! Wow dreamy clouds, looks like a perfect day to explore morning in Paris! 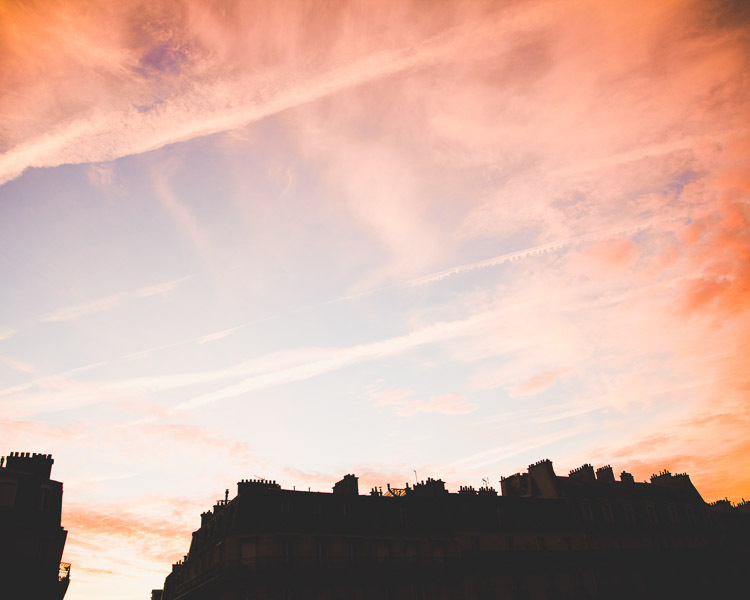 Gorgeous Parisian skies! And beautiful words too. So beautiful. I always loce your photos! 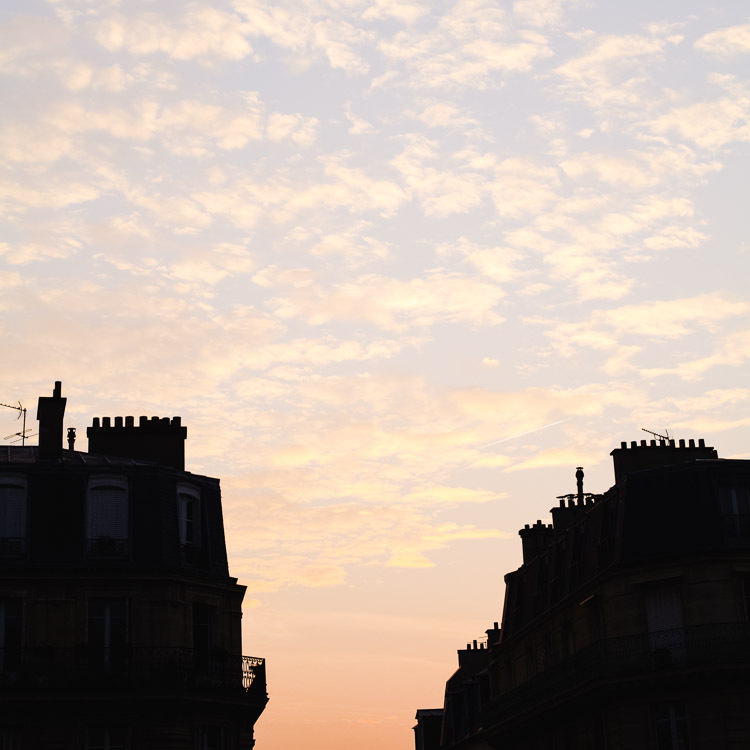 Clouds are one of my favourite photography subjects and the gorgeous light on these is what I would expect from Paris. Early morning in any city is always the best not only because of the sky colors, but watching the city come alive and brighten up. You must really enjoy your early day putings, catherine, and so do I. Thanks for sharing the imagery. Gorgeous photos. Beautiful words. Makes me feel like I am there. Paris!!!! absolutely amaziiing pictures! loved each one of them... the bad part is that it makes me want to be there so bad!!! Such beauty. I don't think I can tell you enough how your photography speaks to me. Seriously. Brings me such joy to view your work. Beautiful. I love your posts on Paris, they bring me back to my visit there and the beauty of that place! beautiful. 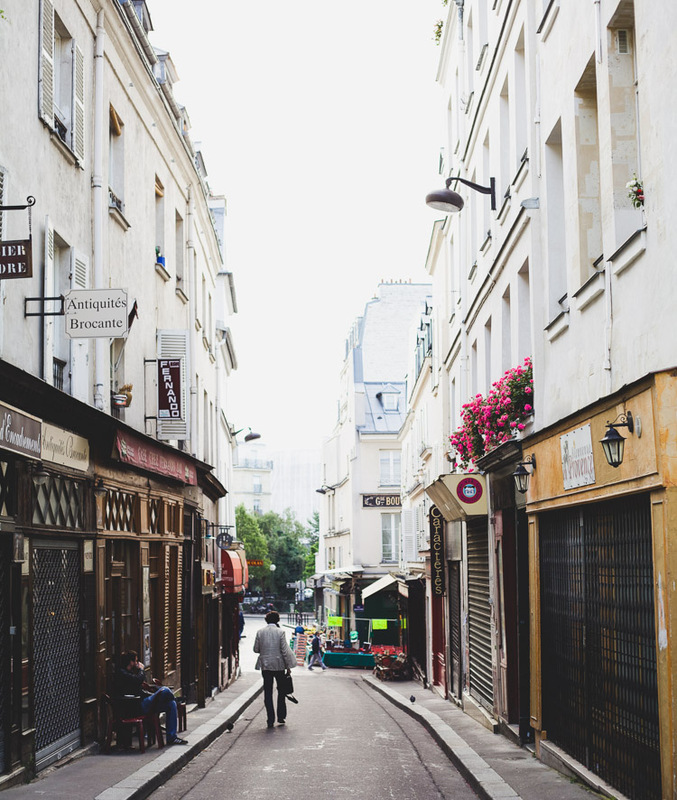 I always love stopping by your blog and being immersed in Paris again. Thank you. Have a wonderful week. Joining you at Communal Global. A beautiful city awakening - looks romantic!